Caricature Cartoon Sketch of Aamir Khan the King of Bollywood – Indian Actor, Producer, and Director. Bollywood ka King – Aamir Khan! Caricature Cartoon Sketch of Aamir Khan the King of Bollywood – Indian Actor, Producer, and Director – inspired by 3-Idiots! 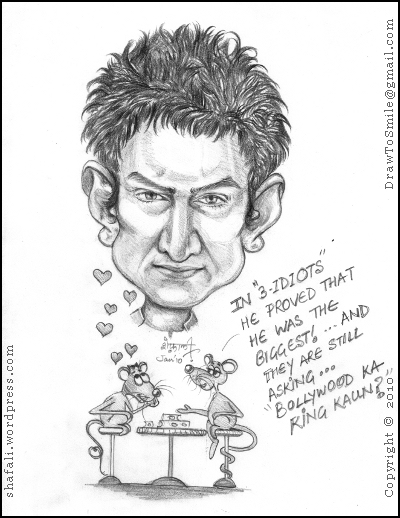 Published August 1, 2010 at 400 × 518 in Caricature/Cartoon Bollywood Hero Aamir Khan – 3 Idiots – Bollywood ka King Kaun?